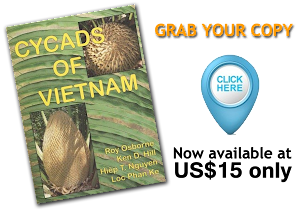 An Indian cycadologist working on the taxonomy and reproductive biology of Indian Cycads for last two decades. She did her D.Phil under the guidance of world famous Prof. D.D. Pant in Allahabad University. Dr. Singh have research and teaching experiences of more two decades in the field of Botany and Life Sciences. An enthusiastic cycadologist working on the Cycas of Western Ghats and Eastern Ghats. A young Indian cycadologist working on the taxonomy, population, ethnobotany and conservation of Cycads. He maintain Cycads of India website and the development of the online portal was part of his PhD work (2007-2014).